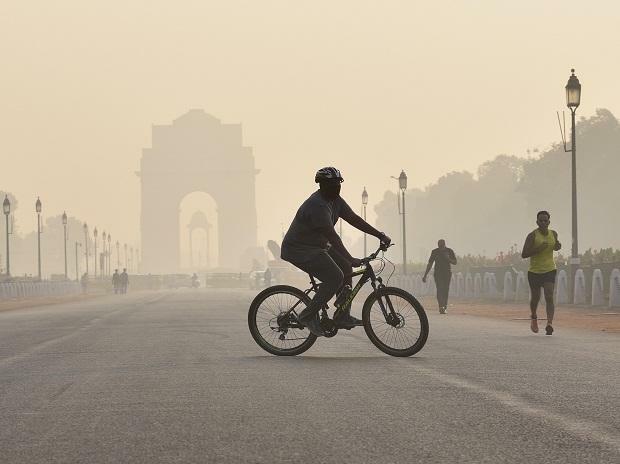 It was a cold, foggy morning in the national capital on Saturday with minimum temperature dropping to 4 degrees Celsius, four notches below average and air quality remaining 'severe', the Met said. At 8.30 am, visibility was at 600 metres and humidity was 97 per cent -- a condition nor favourable for dispersal of pollutants in the air. According to the Central Pollution Control Board (CPCB), Delhi's Air Quality Index is 408 with major pollutants being PM2.5 and PM10. The cold wave that started midweek here was expected to end on Saturday. even on Thursday, the city recorded 4 degrees Celsius the coldest in December as it was today. Temperatures across northwest India has been similarly low, an India Meteorological Department official told IANS. Punjab, Haryana and Rajasthan were also experiencing biting cold conditions. Friday's maximum temperature was 20.6 degrees Celsius, a notch below season's average while the minimum temperature was 4.7 degrees Celsius, three notches below average.